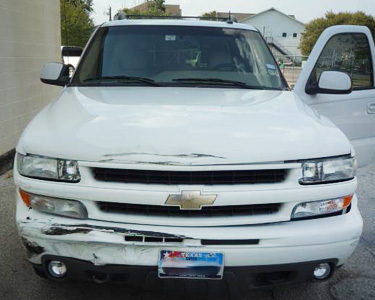 it’s a bent bumper or major body damage, our job is the same–make it look like it never happened. And get it back to you fast. 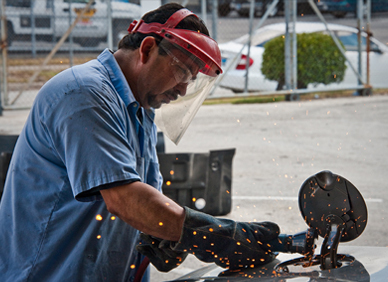 The West University Examiner has listed us as one of Top 5 Body Shops in Houston. Texas Law is on your side. The law in our state says you get to pick the place that repairs your car after a collision. Not the insurance company. And not the tow truck driver. It is totally your choice, as it should be. We work with all insurance companies and accept their estimates and they work with us! 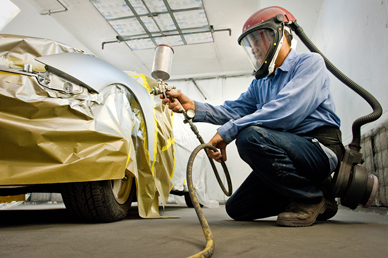 Over the years, Demo’s reputation for quality work at a fair price has earned a special recognition from insurance companies called “Direct Repair”. It means insurance companies accept an estimate from Demo’s without one of their own appraisers seeing the damage. This can significantly speed up the entire repair process. We do it all on all makes and models. 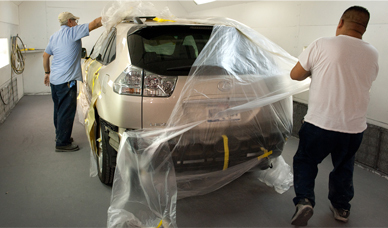 We are a full-service collision repair facility and do not sub-contract any of the repair work to outside contractors. Our automotive repair facility is certified by I.C.A.R. at the highest possible level–Gold. 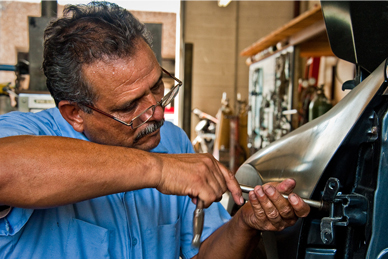 At Demo’s, we also have a complete Mechancial Service Department so you don’t have to go to two repair shops. When your car leaves Demo’s, it looks like new and runs like new.